Triple F.A.T. 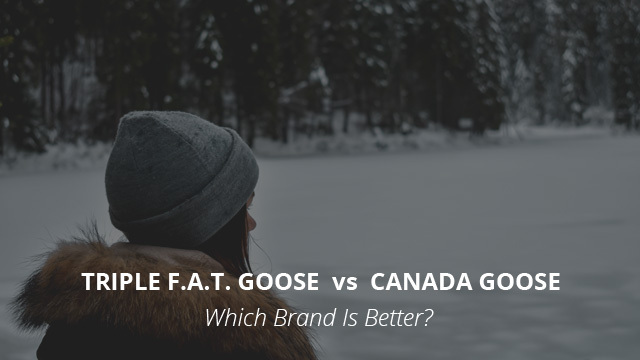 Goose vs Canada Goose: Which One is Better? Brand comparisons are here to stay, so for this week we will take a look at two other popular brands and see what each of them excel at. The selected brands are Triple F.A.T. 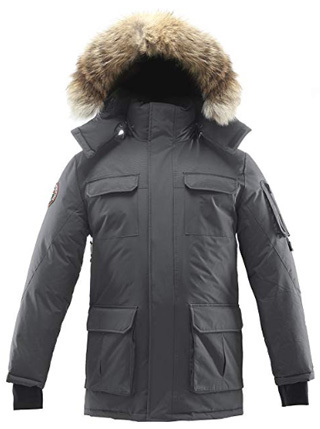 Goose and Canada Goose, both of them with a focus on using goose down as an insulator and both quite up there when it comes to the price of their products. These brands are quite similar in their product designs and anywhere you look online people often comment on how similar they are in performance as well, so this should make for a very interesting comparison. While we have frequently looked at Canada Goose’s products and even the reasons of why its jackets and parkas are so expensive, Triple F.A.T. Goose is a newcomer. Because of that we will go a bit more in-depth, in order to have a better idea as to what type of brand it is and why it has such a good reputation. As you are accustomed to by now, we will start with the first brand, which is Triple F.A.T Goose and then move on to Canada Goose. 3. Which One Is Better? Triple F.A.T. Goose was founded in 1987 with the purpose of providing quality jackets, that could withstand harsh temperatures and challenging weather conditions. In their 30+ years of designing and manufacturing goose-insulated outerwear, they have established themselves as the go-to brand for down jackets and parkas in the United States of America. 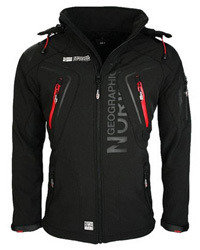 Over the years, they have adapted to the market requirements and created the For Arctic Temperatures concept, which was not solely aimed at shielding against the cold, but also to provide performance for those who lived a more active lifestyle and enjoyed challenging themselves, regardless of the weather. Along with the quality of their products and how well-insulated their jackets are, another important role in the brand’s rise to popularity is the price, as we will see below. Triple F.A.T. Goose’s most used fabric in their jackets is nylon taslan fabric. Taslan fabrics are usually made of polyester and designed to behave and feel more like cotton. In this case, however, the taslan fabric is made of nylon and it does indeed feel and look more like cotton than the typical nylon fabrics you will find in most jackets. Aside from that, this is a water-repellent and also wind-resistant fabric, which, combined with Teflon Shield+ Fabric protector, is capable of withstanding stains as well. Teflon fabric protector helps create a protective layer against different stains, such as soil, oils, etc., while not affecting the weight of the fabric or its breathability. This is an essential step of the manufacturing process, because it guarantees the longevity and practicality of the jacket, as you won’t have to spend too much time caring for it, or having to wash it too frequently. Moving on to the insulation, as we said previously and as you can tell by the brand’s name itself, goose down is used to provide and maintain the warmth of the jacket. Considered as the best insulation known to man, goose down provides a better warmth-to-weight ratio than any other insulation, be it synthetic or duck down. A typical Triple F.A.T Goose comes with fur trim lining the hood, which is sourced from Coyotes. Now, a common problem that arises with jackets that use animal products is whether they are responsibly sourced. Just like any reputable brand should do, both Triple F.A.T Goose and Canada Goose use only RSD and IDFL certified down feathers, as well as coyote fur that follows AIHTS standards in Canada and BMP in the United States. Both of these certifications ensure that the animals were humanely trapped and treated, in the case of coyotes, and not force-fed or live plucked in the case of the geese from which the down feathers are sourced. A very interesting design feature in some Triple F.A.T Goose jackets is the presence of air vents on the sides, which helps with breathability, especially for those who are very active outdoors. This is not something that you come across often in heavily insulated jackets, so we thought it should be noted. For this segment we will look at two of their most popular men’s parkas, the Hesselberg (check it out on Amazon) and Chenega (check it out on Amazon). These parkas are almost identical in performance, with a few differences in design. Hesselberg comes with two side pockets and one on the left sleeve, whereas Chenega has four outer pockets and one on the left sleeve. Other than that, they both come with fur lining on the hood, a high collar, wrist gaiters on the sleeves, 3/4 length and 600 fill power goose down for insulation. 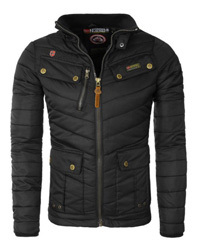 While looking at the prices of the jackets, the prices may seem a bit up there to most people, especially since the brand describes its purpose as creating designs that are affordable. Is a $250 – $650 jacket affordable? Well, if you live in very cold areas, it sure is necessary and when you factor in the quality of products, use, and how great of an insulator the jacket is, then the answer is pretty obvious. Canada Goose was founded in 1957, a good 30 years before Triple F.A.T. Goose and it is a Canadian brand. They first launched their down jackets in the 70s and now have a vast range of products, which includes smaller outerwear such as mittens, hats and gloves, snow pants and of course, jackets. They rose to fame through off-set support of filming crews, by being the brand of choice for arctic expeditions and a top choice of different record-setting athletes. We have done an article solely focusing on this matter, which you can find here. A brand with its own fabric technologies, that include Feather-Light US and Dura Force, Canada Goose has invested a lot of time and resources into developing the best jackets available on the market. They usually use high-quality polyester and nylon on their shells, made to be water and wind-resistant in order to protect the goose down’s insulating abilities. Just like Triple F.A.T. Goose, real coyote fur is used in their jackets for lining the hood. The manufacturing process is extremely meticulous, consisting of 13 steps, which is clearly obvious in the final product. One of their most popular jackets is the Expedition parka, which comes in options for men and women (check out women’s version on Amazon). This is an original design that dates back to the first goose-down parka that was launched by the brand. It is lined with coyote fur and comes with numerous outer and inner pockets for practicality, as it was made with exploration and functionality in mind. 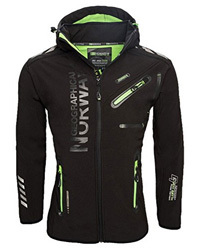 It is made of Arctic-Tech fabric, a blend of Polyester and Cotton that withstands light showers and snow. The insulation is 625 fill power down, which is capable of maintaining body heat effortlessly. 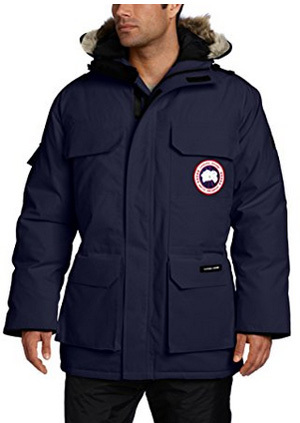 Something you will come across when asking people about Canada Goose is the price. With jackets that begin at around $400 and go upwards of $1000, as is the case with the Expedition parka, we are talking nearly double the price of the most expensive Triple F.A.T. Goose jacket. This is a very tricky matter to settle in the case of these two particular brands, as they are so similar not only in how they jackets perform, but also in how they look. This really complicates things, as it narrows down the differences considerably. Which one is better quality-wise? Both of them. 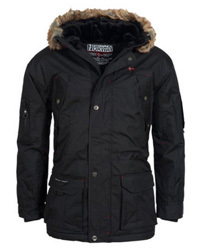 While a typical Canada Goose jacket is said to last for decades, a Triple F.A.T. Goose jacket doesn’t fall far behind in respect to their quality. Some might want to know that a Triple F.A.T. Goose jacket is made in China, whereas Canada Goose manufactures all of their jackets in Canada, hence the cost of production that adds on to the product price. So it all comes down to price, in the end. If we are being honest, even in this regard, you usually get what you pay for, but a more affordable brand does not necessarily mean a lesser quality jacket. If what you want it’s the warmth, protection and fashion statement that a Canada Goose jacket provides and you have the money to spend, then by all means, opt for that. On the other hand, if you live in cold areas but not arctic-like temperatures, and are looking for a jacket that is well-made and gets the job done, then your money is better spent on a Triple F.A.T. Goose jacket. Hi do you knew the temperature rateing of the triple fat goose Chenega ? Small correction the chanega has been replaced by Chanega II and that has 15.5 Oz of 700 fill down.